Medtronic has started below-the-knee clinical study in Europe to treat peripheral arterial disease (PAD) using new drug-coated balloon technology. The trail will assess the IN.PACT 0.014 paclitaxel-coated percutaneous transluminal angioplasty (PTA) balloon catheter. It is an investigational device that uses the firm’s IN.PACT Admiral drug coating technology. Italy-based Maria Cecilia Hospital’s Dr Antonio Micari has carried out the first procedure on a patient with critical limb ischemia (CLI). CLI with PAD below-the-knee is expected to result in non-healing wound ulcers and amputation. Medtronic’s IN.PACT BTK is a prospective, randomized and multi-center trial, which will recruit up to 60 patients at four sites in Europe. According to the firm, the primary endpoint of the study is late lumen loss at nine months, an angiographic measure of drug effectiveness, in patients who received treatment with the IN.PACT 0.014 DCB compared against standard PTA. In addition, the trial is comprised of a wound care protocol that offers additional safety controls and allows patients to undergo routine and standard monitoring by qualified wound care professionals. 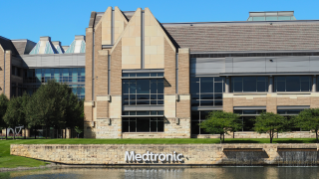 Medtronic aortic and peripheral vascular division’s peripheral business general manager and vice president Mark Pacyna said: "Peripheral artery disease below the knee is complex. With these prior analyses, we have developed an unmatched knowledge around the treatment of below-the-knee disease and CLI. “Together with our clinical investigators, we look forward to launching the IN.PACT BTK study to evaluate the effect of the IN.PACT 0.014 in patients with below-the-knee PAD."